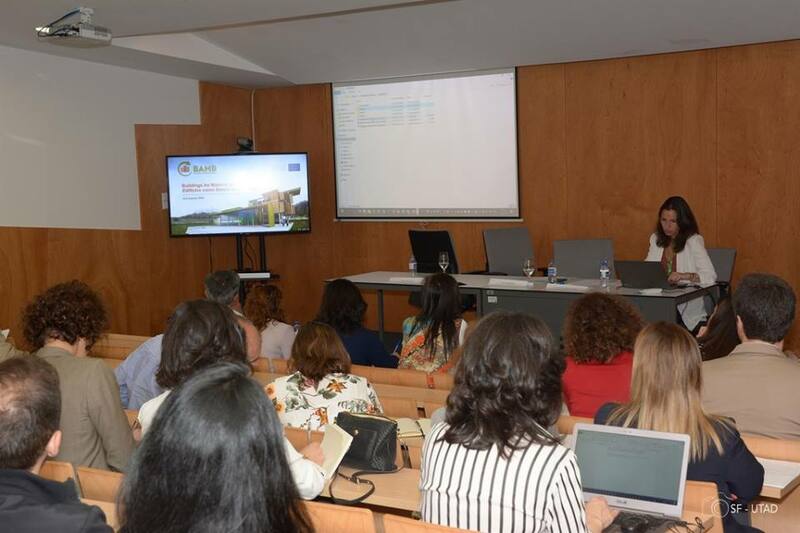 The seminar is promoted within the scope of the Circular Construction Project (PRCD – Prevention of Construction and Demolition Waste), approved in the Notice “Supporting a New Environmental Culture” of the Environmental Fund for the Lisbon and Vale do Tejo Region. This was the fifth of a series of 5 seminars to be held in different regions of the country. The objective of the project is to promote education activities to the different agents of the CDW value chain, supporting their interaction, in order to promote a more sustainable value chain, in line with the principles of circular economy. This project aims at raising awareness about the prevention of CDW production as well as its recovery, by promoting its incorporation in sectors such as industry and construction, reducing its carbon footprint, reducing the extraction of natural resources and the diversion of waste to landfill. This project addresses an issue of public interest and represents an important contribution to raising public awareness of illegal dumping of CDWs, which may include hazardous waste, resulting in environmental liabilities and degradation of landscape. This initiative is aimed to municipalities, construction and rehabilitation companies, designers and architects, waste management companies, university students in engineering and architecture. BAMB partner Ana Quintas, BRE, was part of the first session “Communicate and raise awareness for CDW management”.